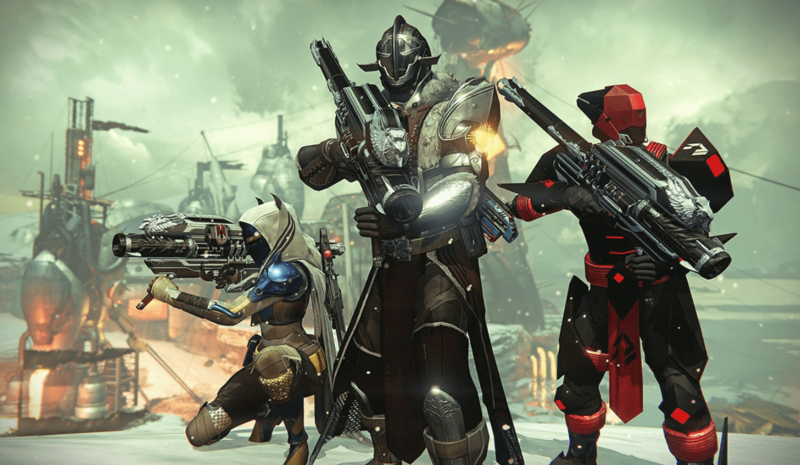 RISE OF IRON - Everything You Need to Know! Update: Find more recent information about Rise of Iron here, as this article is slightly out of date. Bungie’s stream has collectively whet the appetite of long-time Destiny gamers looking for their next big adventure, and early signs are promising that waiting for the Rise of Iron will be well worth it. Although many details of the expansion are still shrouded in secrecy, the little taste we got today tells us that E3 can’t come soon enough. We’ll break down every bit of information we gleaned from Bungie’s classically cryptic presentation, and offer our thoughts on what this expansion might promise for Destiny’s future. Keep in mind that any predictions are merely that: predictions – and should be taken with a heaping pile of salt. Before the City and the Vanguards, there were the Iron Lords. Blessed by the Traveler’s Light, these brave warriors dedicated themselves to defending humanity and rebuilding a lost civilization. From their mountain fortress on Felwinter Peak, the Iron Lords ranged across the planet, battling the Darkness and protecting the survivors of the Collapse. They did great things … but then they encountered an enemy they could not defeat. Now Lord Saladin, the last Iron Lord, honors the memories of his lost brothers and sisters. And he waits … because he knows that someday the thing that destroyed the Iron Lords will return. Destiny: Rise of Iron will launch on 9/20 for Xbox One and Ps4. It will retail for $29.99 – pre-order here. 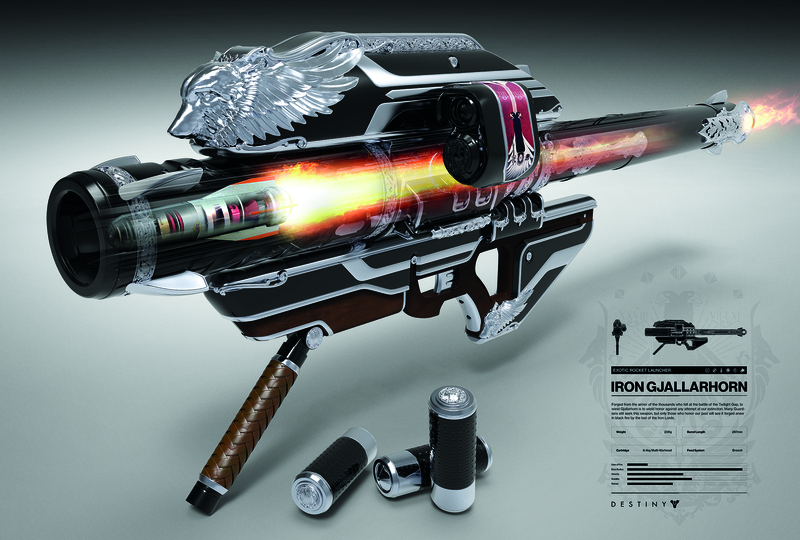 This flaming battleaxe is a “Relic” – a special item like the Scorch Cannon. “An all-new setting on Earth, The Plaguelands. This area near the Cosmodrome has been quarantined for centuries. Now the Devil Splicers have broken through the walls, dug deep into the earth and found technology of almost limitless power. 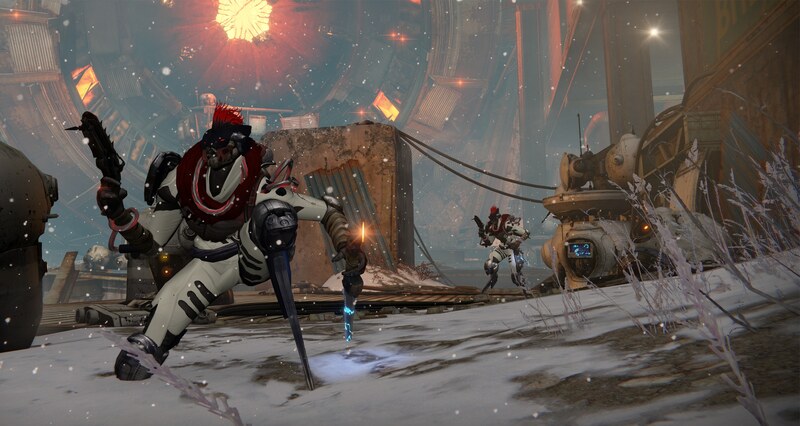 The Splicers are using this forbidden technology – SIVA – to transform the region to fit their twisted desires. 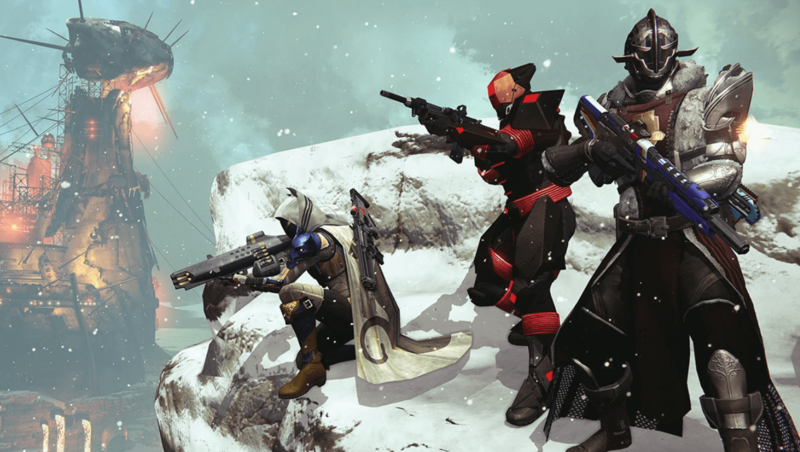 Like the major expansion before it, The Taken King, Rise of Iron boasts an all new, fully-playable PvE zone that can be explored and traversed in a non-linear fashion. 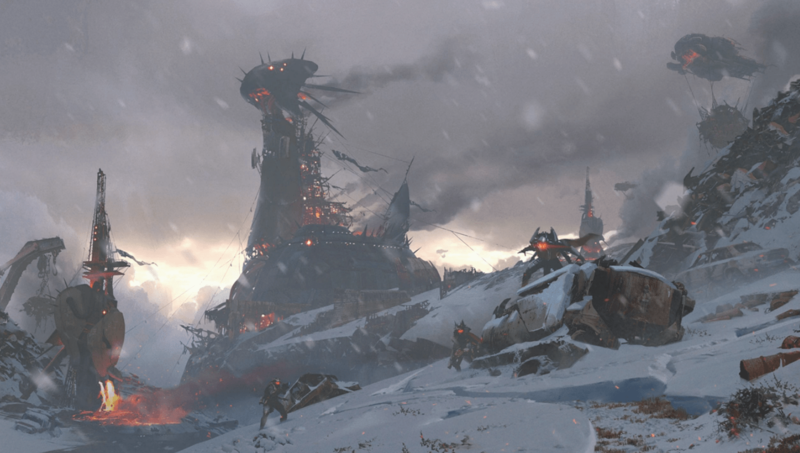 While The Dark Below and House of Wolves kept Guardians more or less relegated to the maps they knew well, Rise of Iron introduces a Cosmodrome location that’s been tainted by a nefarious technological plague known as SIVA. The corrupted Fallen – or Splicers – will no doubt be on vigilant patrol, and Public Events and Vanguard Patrols will likely have Guardians attempting to thwart and frustrate their designs for this region. What we hope: That the Plaguelands provides the same thrill and cautious adventurism that the Dreadnaught inspired. In a game where the goals of each Guardian are more or less the same, the freedom to explore and delve into secrets and uncharted territory helps each player feel like they are in control of their own Destiny. Things like hidden quests, artifact collections that unlock powerful weapons, and a game that doesn’t hold your hand, are what made the Dreadnaught a successful environment. The guys on the stream were hyped to integrate the Social Space into the quest proper. They informed us that our first mission in the Campaign would be to reclaim Felwinter’s Peak, a derelict old bulwark against the enemies of the Iron Lords. Its atmosphere is forlorn, though it is clear that it was once a place of great tactical importance. What we hope: A new Social Space either needs to offer something truly social, so as to not split the focus of Guardians across the Tower, Reef, and Felwinter Peak — or, it needs to be more smoothly incorporated into the lore. The idea of a hub to pick up quests and purchase gear is smart, but if Felwinter Peak were to also be connected in a tangible way to the task at hand, then it would go a long way to making Guardians avoid the feeling of docking, checking off a few boxes, and heading out. No one wants their social space to be bookended by loading times at every visit — especially when early Campaign quests require a lot of back-and-forth. It sounds like the Fallen have bit off more than they can chew with this SIVA technology. Bungie dips into a reliable well with the notion of “corrupting” yet another of their foundational races. Just as the Hive, Cabal, and Fallen were twisted by Oryx’s will, so too can we expect the upgraded Splicers to present a new challenge to Guardians. What we hope: New abilities, smarter AI pathing and strategy, and difficulty that is centered around their tenacity rather than simply having a large health bar. Bungie did this quite well with The Taken King, where new Strike Bosses no longer required an entire salvo of Heavy Ammo, and Yellow Bar Majors and excessively shielded foes were fewer and far between. The Splicers look like they will be offensive and aggressive, using the benefits of their upgraded tech to harass and assault complacent Guardians. From the peg-legged Dregs to the giant-cannon-for-an-arm Kell, the firepower is going to be turned up, and Guardians will hopefully have to be quick on their feet to outflank and overpower them. It’d be cool if SIVA’s upgrades also revealed new weakpoints, or left enemies unstable even in death. Splicers are body hackers and bioengineers who fuse metal and flesh – Devil Splicers have uncovered the ultimate technology, SIVA, a Golden Age breakthrough in self-assembling, self-replicating nano-technology. Deep below the earth lies the true source of the SIVA outbreak, guarded by the most zealous and powerful Fallen Devil Splicers. The picture of a dangerous plague spreading from an epicenter and engulfing the world is a powerful one. When it is able to ensnare a greedy and naive faction such as the Fallen, there is an immediate sense of danger. What could a group of augmented Splicers, their reflexes and abilities heightened by SIVA’s cold technology, accomplish if they were set free? This sets the stage for Destiny’s newest campaign, where no doubt Guardians will look to hem the ambitious expansion of the Fallen, while also taking the fight to them. 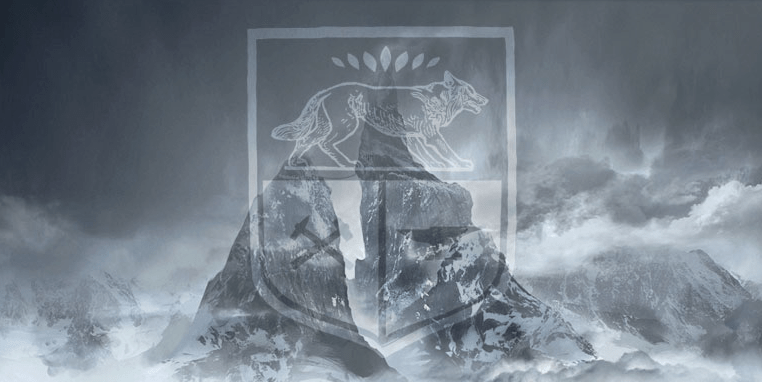 As DeeJ and co. explained, our efforts will take us back to The Wall, to the heights of Felwinter Peak, and eventually to the depths of the earth, where we will square off in the newest Raid against monsters we are not yet ready for. We will help Lord Saladin honor the sacrifices of the Iron Lords while becoming ourselves their heir apparents, and in doing so conquer the evil that felled them long ago. The Taken King raised the bar for Destiny’s own storytelling, incorporating previously near-mute characters in creative and often amusing ways. Nathan Fillion’s turn as the snarky Cayde-6 injected levity and liveliness into what could have been a dour and over-serious campaign. While we were, as always, lone wolves in our actual efforts, the sense that the Vanguard was behind us and instrumental in establishing a beachhead on Oryx’s Dreadnaught helped to ground the god-slaying in a personal manner, reminding us that we are fighting for The Last City and its peoples. Everyone who purchases Rise of Iron can earn the Gjallarhorn, only after completing a specific quest in Rise of Iron. Players who preorder will receive a limited edition Iron Gjallarhorn, featuring distinct black-and-silver visual upgrades. We just want Rise of Iron to keep this trend going strong. Destiny should be more than a canned voice in an earpiece spouting esoteric technobabble while we coast around on Sparrows shooting things. Integrated cutscenes, intrigue, guilt, human (or alien) turmoil and strife – all of these are instrumental to making even a short campaign memorable and worthy as an exploration of Destiny’s immense and fascinating lore. While it doesn’t appear that Rise of Iron is quite the length of the Taken King, if pricing is any indication, this means it has the chance to tell a tight and well-constructed story. 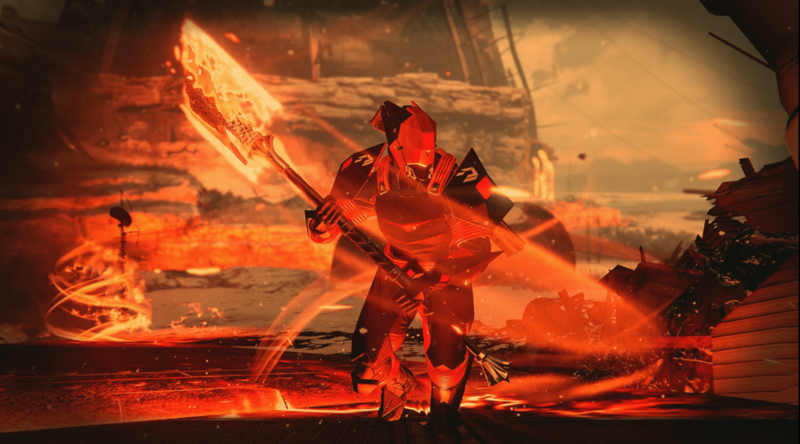 With Lord Saladin at the crux of the campaign, Rise of Iron positions itself neatly to explore his regrets, courage in containing SIVA, and hopes for the future of the Iron Lords. And at the center of it, as always, are Guardians. 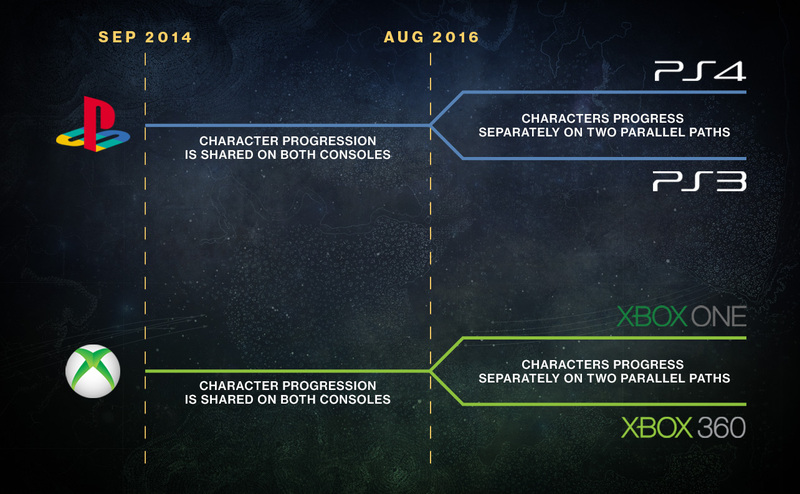 Previous Post:Rise of Iron Feature List, 360/PS3 Left Behind?